With the variety of different devices people use to visit your website, it’s important your website is easy to navigate using any of them. During recent years the extreme rise in the use of smartphones and tablets has required re-thinking how websites have to work. People will spend hours watching almost anything of interest on those small screens but they’re not going to spend 20 seconds on your site if it’s not easy to navigate. Just having a mobile site is no longer enough qualification to get you found on Google or any other major search engine unless it’s properly engineered. 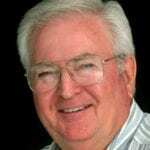 Larry Bartley was the premier early implementer of mobile website design in Brown County and has built 100% responsive websites for all his clients since 2009. In the early days, you were required to have 2 separate websites- 1 for displaying on desktops, and 1 for mobile devices. Nowadays you don’t need 2 or more websites to deliver your content to every device, just 1 website that sizes to fit whatever device your visitor is using. Websites built with responsive technology adjust automatically to fit almost any scenario based on the device in use. 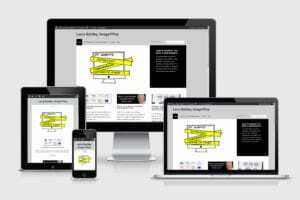 Rather than your visitor having to zoom in, zoom out, and scroll around your website build by Larry Bartley will just deliver an enjoyable experience to all users. Not only are these more serviceable solutions but Google has openly stated they will actually penalize your placement in search results if you don’t use a responsive website. 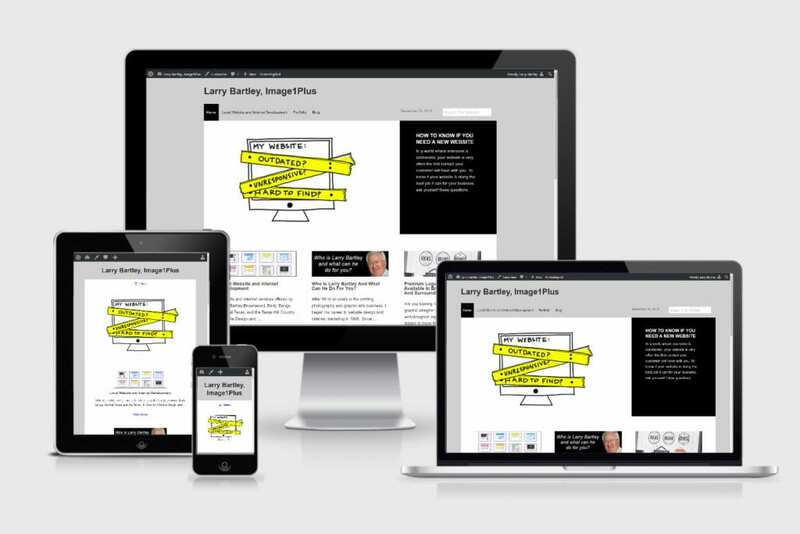 Call me today to arrange a demo to see how responsive websites by Larry Bartley actually perform more efficiently than conventional websites.